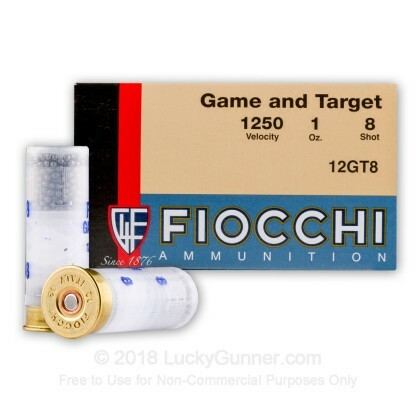 This 12 gauge shotgun ammunition from Fiocchi is well suited to clay and shooting and upland game hunting, particularly for recoil sensitive shooters. Each 2/3-4" shell in this volume priced case of 250 fires a one ounce payload of #8 shot at a muzzle velocity of 1,250 feet per second. 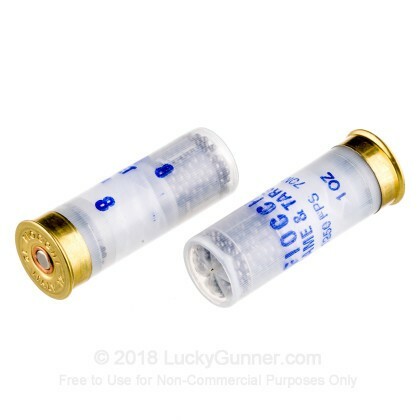 This combination of a relatively light load fired at a moderate muzzle velocity still maintains good power levels in the 12 gauge format but keeps recoil to a very manageable level. 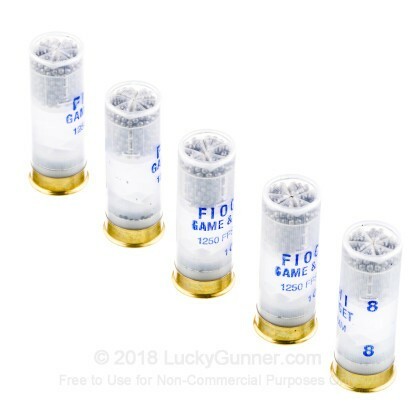 If you want to help someone develop an interest in the shooting sports, this ammo is a great choice. 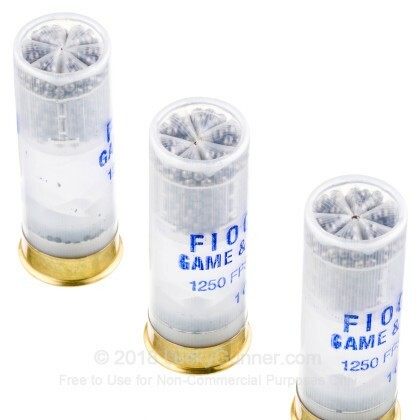 Fiocchi ammunition sold in the US is primarily loaded in Ozark, Missouri. Fiocchi's manufacturing operations in the US were established to create an organization more responsive to American markets. 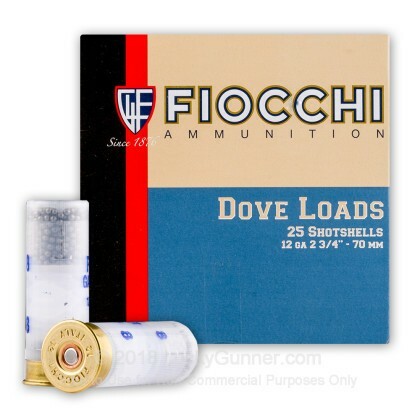 Due to high demand, Fiocchi still sometimes imports extra production from its worldwide headquarters in Lecco, Italy. Ammo produced at both locations is widely regarded as being very high quality and cost-effective. We also have this 12 Gauge - 2-3/4" 1 oz. 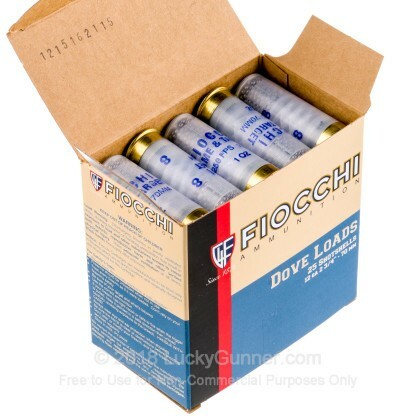 #8 Shot - Fiocchi Game and Target - 25 Rounds ammo in stock in a smaller quantity.